You cannot leave South Carolina without a night with Pedro. 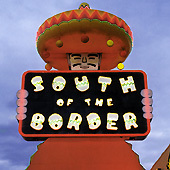 Under tussled sheets with the hint of tequila on his breath, he waits for you in the tackiest motel in America: South of the Border. 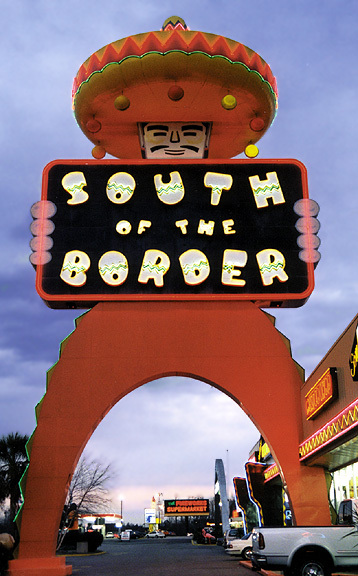 From the hundreds of miles of day-glo billboards that entice motorists of god-awful puns (“you never sausage a place”) to the giant neon caricature of Pedro so offensive that the Mexican embassy once complained, South of the Border has grown much since its 1949 beginnings as a beer stand. 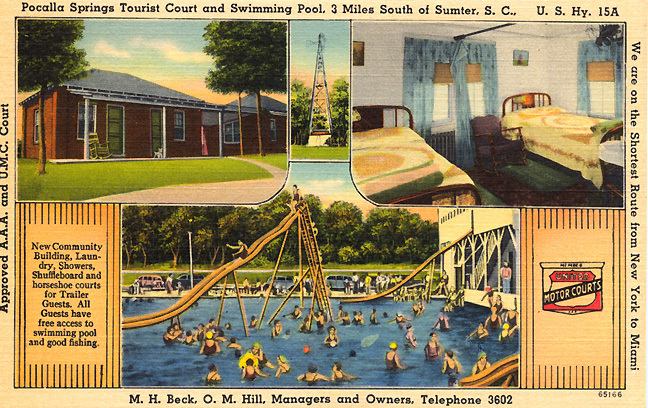 Featuring 300 rooms, “heir conditioned” honeymoon suites, and a sombrero-shaped restaurant, SOB (yep, that’s what locals call it) absolutely will draw you into its quirky orbit.